Welcome to our page. Let the Holy spirit lead us in our path towards becoming the perfect vessels of the treasure (the living word). God’s special treasure are those faithful to him. This fulfills the promise he made in the covenant to his people (Exodus 19:5). According to 1 Peter 2:9, believers are God’s very own possession. “But this precious treasure—this light and power that now shine within us—is held in perishable containers, that is, in our weak bodies. Giving to others is giving to God. We are here for a purpose. God gives to us so we can give to others. Here is an organization who gives relief to many around the world from disaster relief, to feeding the poor, to mosquito netting and so much more. We hope that we will all remember to give, and if you need an idea where to send your donations then here is one good place, Samaritan's Purse. God’s special treasure are those faithful to him. This fulfills the promise he made in the covenant to his people (Exodus 19:5). Let the Holy spirit lead us in our path towards becoming the perfect vessels of the treasure (The living word). Thankful for every day he can think good things about people. He believes the main thing to do is to show that you love your neighbor. What a lovely conversation we had with our special guest, David O’Connell coming to us from Derby, Britain. The kind soul of Anma shines through as he tells us his motivation behind the interesting subject of this song. What a super treat for us today to visit with the very gifted and lovely Lisa West, known as Faerytale on SoundCloud! Music and writing songs has been a part of the very interesting life of Rudi Lockefeir since he was a youngster at the age of 13. 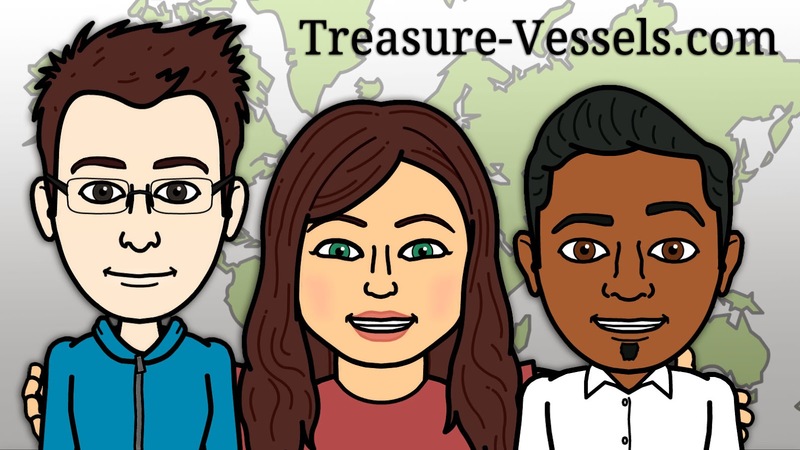 © 2014 Treasure Vessels. Powered by Blogger.